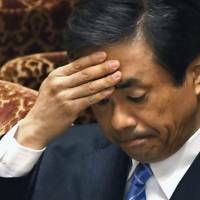 A former executive assistant to Prime Minister Shinzo Abe admitted Thursday that he had met officials from a school operator run by Abe’s close friend several times in the lead-up to its application for a state-sponsored deregulation project in 2015, but denied helping Abe pull a favor for his confidant. Making his first Diet appearance since the report came out, however, Yanase downgraded his categorical denial Thursday, saying he may have met them after all. Yanase’s alleged use of such a phrase, documented by a memo of the meeting that the Asahi said was drafted by Ehime officials, reinforced suspicions that Abe may have exerted his influence to help his longtime friend Kotaro Kake, who runs the school, win government approval to establish a new veterinary department. “I met officials from the Kake Gakuen side around April” in 2015, Yanase told the Lower House of the Diet, admitting that he met them on two other occasions inside the Prime Minister’s Office, before and after the April meeting. But Yanase, currently a senior official at the industry ministry, emphasized that his contact with Kake Gakuen officials was never initiated at Abe’s urging. He also said that although he was aware of Abe’s longtime friendship with Kake, he never gave them any “special treatment” in agreeing to see them. 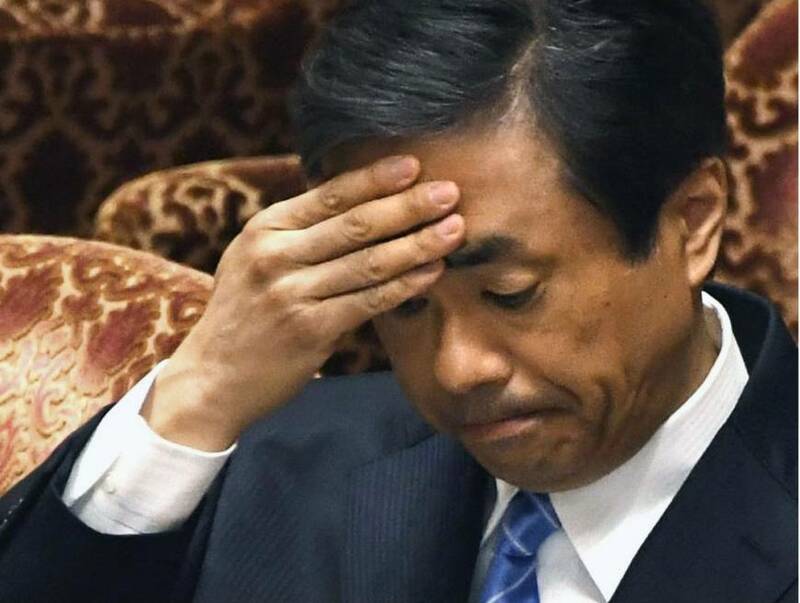 Opposition lawmakers were particularly unconvinced of Yanase’s claim that he met officials from the Kake Gakuen side without Abe’s knowledge, and that he never kept Abe abreast of what took place in those meetings. “The prime minister and his executive assistants are practically inseparable. The assistants update the prime minister on the tiniest matter. It’s hard to imagine that you go about meeting somebody from the outside of your own volition,” said Akira Nagatsuma of the Constitutional Democratic Party of Japan. Should Yanase — who said he learned of Kake Gakuen’s willingness to open a new veterinary department when he met its officials in February or March in 2015 — admit he had kept Abe posted on details of his conversation with them, it would deal a blow to Abe, who repeatedly insisted in past Diet sessions that he didn’t know of the operator’s intention to apply for the deregulation project until January last year. On the April 2015 contact, Yanase identified one of the officials aligned to Kake Gakuen as Yasuhiro Yoshikawa, who now serves as chief of its veterinary department in Imabari. “They came to see me as a group of about 10 people in total. … I still don’t remember if there was anyone from Imabari (municipal office) and Ehime (Prefectural Government) accompanying” Yoshikawa. “But it’s possible there may have been someone from Imabari and Ehime in the 10-person crowd,” Yanase said. Yanase said Yoshikawa did most of the talking by “passionately” explaining to him how outdated Japan’s veterinary education remains. Lawmakers from both Abe’s ruling Liberal Democratic Party and opposition parties repeatedly quizzed Yanase over whether he used the phrase — “prime minister’s matter” — to describe Kake Gakuen’s project in the April 2015 meeting. Yanase denied this, saying he only conveyed to those in attendance Abe’s general commitment to open a new veterinary department under his deregulation drive. “I only mentioned that the prime minister is of the opinion that the government will consider lifting a ban on the opening of a new veterinary department as soon as possible, but I don’t believe I singled out a project by Imabari as a prime minister’s matter,” he said. Chief Cabinet Secretary Yoshihide Suga said Yanase’s latest admission that he met Kake Gakuen officials does not change the government’s stance so far that the official process to approve the school’s project was never rigged in its favor.